Conveniently located in Hong Kong’s Western district, the accommodation is easily accessible to Central, Admiralty, Causeway Bay and Tsim Sha Tsui where most renowned hotels are situated, including Mandarin Oriental, JW Marriott, The Park Lane and Marco Polo Hong Kong. Sun Yet San Memorial Park is just a 10-minute walk where sports centre, swimming pool and promenade are available to cater various leisure needs. Roam the streets and discover a charming neighbourhood that retains traditions, embraces local history and celebrates Hong Kong’s heritage. Living at the Sai Ying Pun Student Accommodation means you can just take a 13-minute walk to the University of Hong Kong or take public transports to the Hong Kong Polytechnic University in less than 30 minutes. Moreover, the Sai Ying Pun MTR Station is a 2-minute walk, public transportation including bus, mini-bus and tram are also only a short walk. Daily necessities such as restaurants, supermarkets and department stores can be easily found in the surroundings. 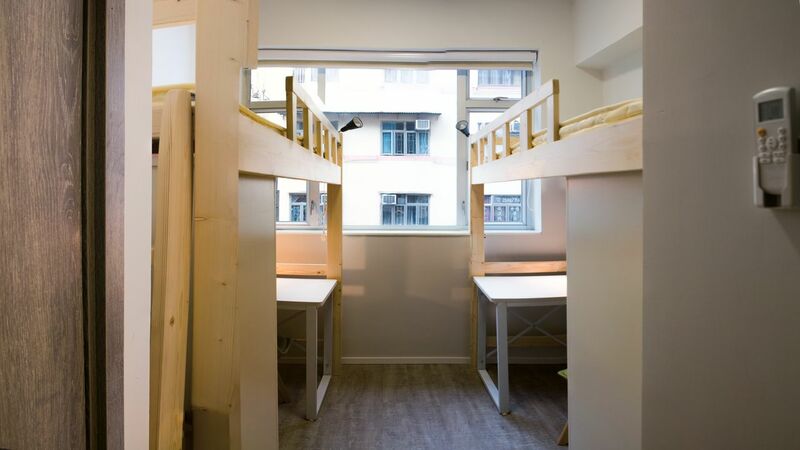 Comes with 4-storeys and 1 mezzanine floor (without elevator), the Sai Ying Pun Student Accommodation offers a total of 24 rooms which comprise of 17 single rooms and 7 twin rooms. A stylish and serene design with a “loft bed” maximizes the space efficiency. Each room comes with a private bathroom to ensure maximum comfort and privacy. 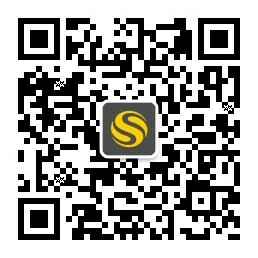 In addition, air-conditioner, wardrobe, work desk and chair are all prepared to offer you a good study environment. Each floor of Linko Living has unique co-living spaces that are designed to bring the community together, and provide the perfect environment, no matter your mood. Communal areas are provided at ground floor and roof-top where you will definitely love them. Residents may use cooking facilities, outdoor furniture, washing machines and clothes-dryers (free of charge!). There are 24/7 CCTV and professional maintenance team for your peace of mind. You will definitely enjoy the convenience at the Centre while at the same time meet new friends from all around the world. 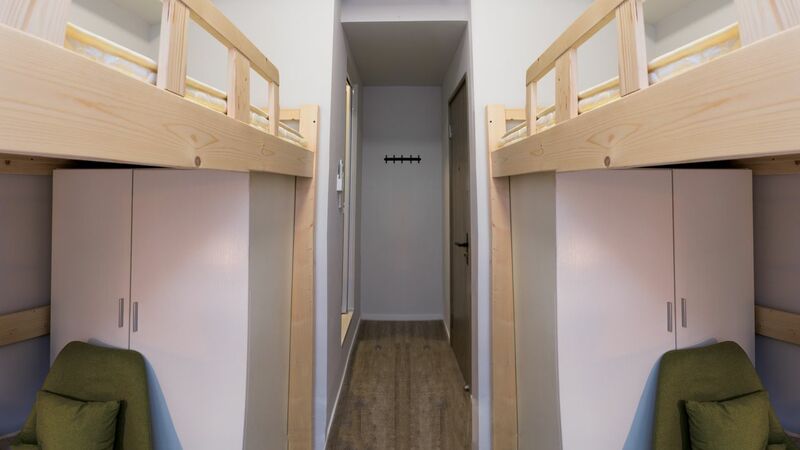 Wir haben leider keine Unterkunft gefunden, die deinen Wünschen entspricht.Alle Mehrbettzimmer in Sai Ying Pun Student Accommodation 西營盤學生公寓 ansehen. 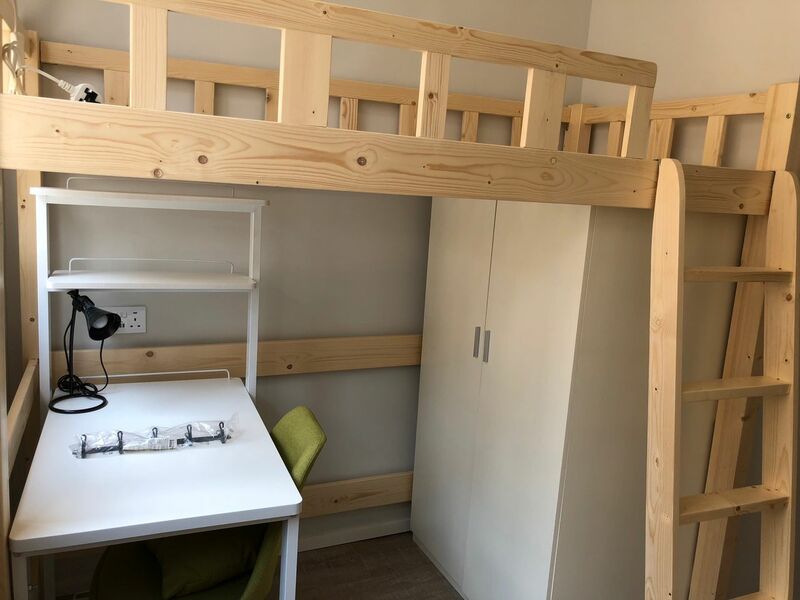 Wir haben leider keine Unterkunft gefunden, die deinen Wünschen entspricht.Alle Privatzimmer in Sai Ying Pun Student Accommodation 西營盤學生公寓 ansehen.